Christian Witness: New. Drs Angela and David Franks talk with people who work to build a culture of love and life rooted in the New Evangelization. Guest: Francis Cardinal George, 'The Difference God Makes'. We've Got To Talk: New. Fr Dan continues CatholicTV's longest running studio series. This week's topic- "The Mission is Urgent." One Billion Stories: New. Join Seth DeMoor as he continues sharing the stories of Catholics around the world. This week we see some new videos and Seth talks about some technology upgrades. Spotlight: New. 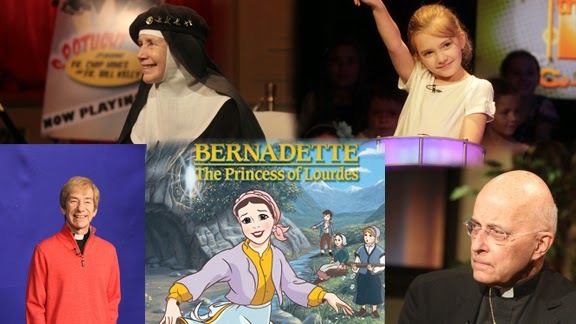 The film fathers interview Mother Dolores Hart this week on Spotlight, CatholicTV's movie review show. Tuesday 11/19- Father Roderick Vonhogen, author of Geekpriest: Confessions of a New Media Pioneer. Friday 11/22- Jon Niven and Father Matt Williams, 'God of This City' Advent Tour. The Gist: Encore. Rachel, Danielle, and Carolee host another great episode of The Gist. Our Guest is Rebecca Frech, author of Teaching in Your Tiara.